Kodi is an excellent way to stay up-to-date with your favorite entertainment. As a free, open-source media player, Kodi lets you access a variety of TV streaming sources in one place. Kodi can even be used to stream free content using third-party add-ons. The only thing that could make Kodi better is a VPN or Virtual Private Network. With a VPN for Kodi, you’re able to access blocked and restricted services regardless of your location. Better yet – you’ll be able to access all of that amazing entertainment in a safe, secure and private virtual environment. What are the top 5 VPNs for Kodi? Additionally, CyberGhost provides excellent speeds on most servers, a kill switch, P2P allowance on select servers, Bitcoin payment options and free browser add-ons. If you’re still iffy on trying CyberGhost, you can always use their 7-day free trial or their 30-day money-back guarantee. Visit CyberGhost for more information. Additionally, NordVPN allows P2P activities and offers excellent server speeds. NordVPN also provides CyberSec anti-malware protection, a Smart DNS service, dedicated IPs (at an extra cost), a double VPN and a system kill switch. If you’re still hesitant to try NordVPN, you can rest easy knowing they not only offer a free trial – but a 30-day money-back guarantee as well. Visit NordVPN for more information. ExpressVPN is a VPN provider based in the British Virgin Islands that also offers an excellent service to its Kodi users. 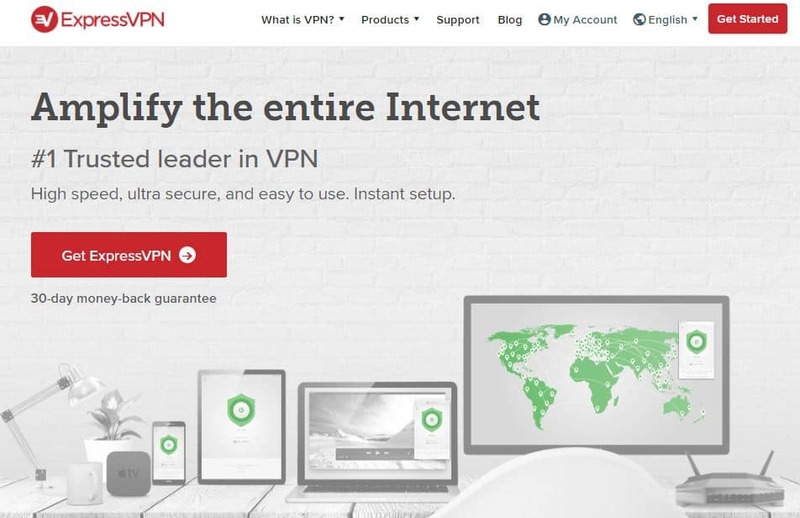 To start, ExpressVPN provides users with excellent military-grade OpenVPN encryption, a strict privacy and no logs policy and DNS/WebRTC leak protection. Additionally, ExpressVPN offers 90+ server locations with fast speeds to go along with them and “stealth servers” located in Hong Kong for additional privacy. IPVanish also offers an easy-to-use cross-platform VPN app. In terms of Kodi compatibility, IPVanish cannot get into Netflix US and (sometimes) BBC iPlayer, but it can get into other streaming services like Amazon Prime. Finally, IPVanish offers a 7-day money-back guarantee for unsatisfied users. Visit IPVanish for more information. During their researching, our team of VPN experts came across a variety of frequently asked questions involving Kodi and VPNs for Kodi. The section below will tackle those questions by providing in-depth answers to them. 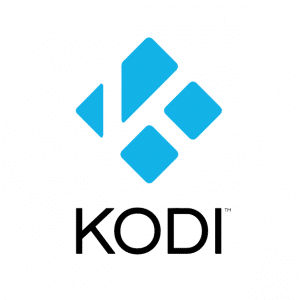 Kodi is an open source home cinema software that lets users access dozens of entertainment libraries from a variety of sources – including paid subscriptions like Netflix and Hulu and free add-ons like Exodus and BBC iPlayer. Kodi is also available on a wide range of platforms, including Windows, Linux, Android, iOS, macOS and Raspberry Pi. What is a VPN for Kodi? A VPN or Virtual Private Network for Kodi is a technology that provides you with security and privacy via encryption. A VPN at work will redirect your network traffic to the encrypted VPN server. When you’re connected to a VPN, your information is secure. You can’t be spied on. In other words: a VPN helps protect you from internet censorship and government/ISP surveillance. Access geo-restricted content on Netflix, Hulu, etc. Additionally, VPNs are also commonly used by businesses to secure data and offer overseas employees a sense of security/privacy during their travels. With that in mind, it’s easy to see why VPNs are necessary in today’s digital world. Why do I need a VPN for Kodi? Without a VPN for Kodi, you’re an open door just waiting for an invasion of privacy. For example, it’s not unusual for governments and ISPs to spy on your online activities. However, when you use a VPN for Kodi, there is no spying – your internet traffic is encrypted, protecting you from the prying eyes of governments, ISPs and other third parties. With a VPN for Kodi, you’re taking the first step in fighting government surveillance. You’re also taking the first step in fighting internet censorship. In addition to maintaining your digital privacy, a VPN for Kodi also lets you access websites and services that would normally be blocked in your region. This is especially apparent for Kodi – you can access a world of geo-restricted content using TV streaming add-ons for Kodi. How do I choose the best VPN for Kodi? Don’t let that list of features scare you – as long as you stick with our recommendations in this article, this section doesn’t really apply to you. Now if you plan to leave this article and find your own VPN, you’ll want to take this list of features with you. Of course, the easiest and most effective option is to stick to our recommended top 5 VPNs for Kodi. How do I use my VPN with Kodi? How you set up your VPN for Kodi will depend on the VPN you choose and the device you want to use. Luckily, all of the VPNs in this list offer a variety of detailed setup guides that are easy to follow. Simply navigate to your VPN’s help desk and find the guide relevant to your setup needs. Kodi is an excellent source for the latest and greatest entertainment. Sadly, without a VPN for Kodi, that entertainment comes at a price – government and ISP surveillance. If you want to enjoy Kodi to its fullest extent while maintaining your digital privacy and security, you’ll try one of our recommended VPNs for Kodi ASAP. You’ve got nothing to lose, right?